I’m crazy about shoes, I just can’t have enough. My friends obvisously knows this as a friend sent me an email about Sneakerplay. 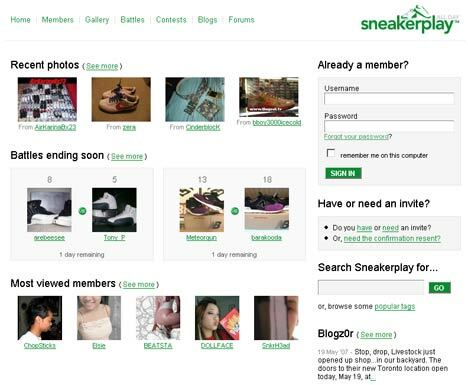 Sneakerplay is a social network site with sneakers in the focus. You can show off your sneakers and even battle other members sneakers. Currently the site is invite only and I haven’t received an invitation yet so I can’t tell you that much more about it. Nice to see that there’s some other sneaker fans out there though.